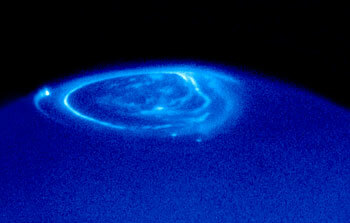 14 December 2000: This week European and American researchers seize a once-in-a-lifetime opportunity to gather simultaneous observations from the NASA/ESA Cassini/Huygens space mission and the NASA/ESA Hubble Space Telescope. 13 December 2000: Due to a happy coincidence the ESO/ST-ECF Science Archive Facility is celebrating three different milestones at the same time: its 10th anniversary, the 10,000th request for data and the signing-up of active user number 2000. 25 October 2000: A spectacular new image from the NASA/ESA Hubble Space Telescope of the group of galaxies called Stephan's Quintet provides a detailed view of one of the most exciting star forming regions in the local Universe. 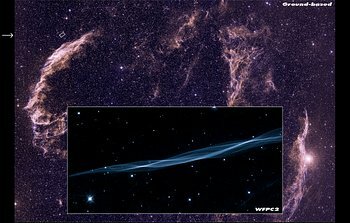 10 October 2000: This delicate Hubble Space Telescope image shows a tiny portion of the Cygnus loop, a supernova remnant in the constellation of Cygnus, the Swan. Measurements on this super-detailed image of a cosmic veil shows that the original supernova explosion took place only 5000 years ago. 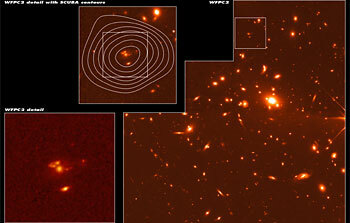 6 September 2000: The ESA/NASA Hubble Space Telescope has made the first detailed optical observations of an example of a remarkable class of galaxies by using the additional magnifying power of a huge galaxy cluster to extend its range. 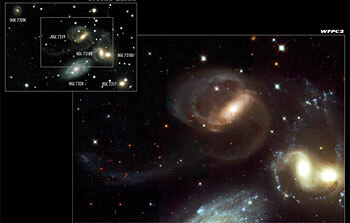 The galaxy, named J1/J2, belongs to a remote population of galaxies. Although extremely luminous, the galaxies are obscured by enormous quantities of dust - the smoky residue of the life cycle of massive stars - and have so far only been seen by sub-millimetre telescopes. 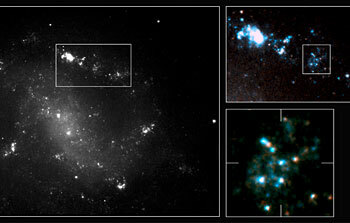 The Hubble observation has enabled astronomers to investigate the connection between this distant population of 'hidden' dust-enshrouded, intensely star-forming galaxies and the less dusty galaxies that are readily observed with optical telescopes. 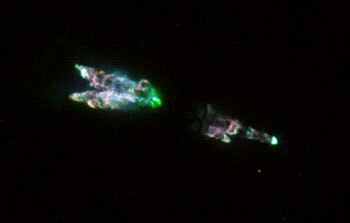 31 August 2000: Observations with the NASA/ESA Hubble Space Telescope show a previously unknown richness of detail in the intriguing proto-planetary nebula CRL 618. CRL 618 is a superb example of the transition taking place in the later stages of the life of a star like the Sun after it has lost most of its mass and before it emerges as a fully-fledged butterfly-like planetary nebula. CRL 618 is evolving so rapidly that we can literally watch through Hubble's eyes the hatching of one of these heavenly butterflies from its dusty cocoon. 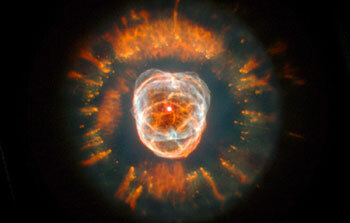 This snapshot of cosmic evolution provides important clues for current theories of the origin and evolution of planetary nebulae. 27 June 2000: A group of European astronomers have obtained the first detailed images of a galaxy in which a gamma-ray burst has occurred. 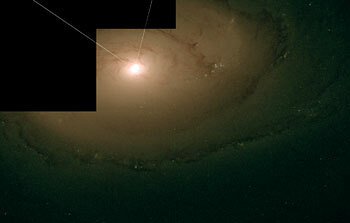 The image was taken with one of the NASA/ESA Hubble Space Telescope's high-resolution cameras and reveals a barred spiral galaxy with numerous star-forming regions. 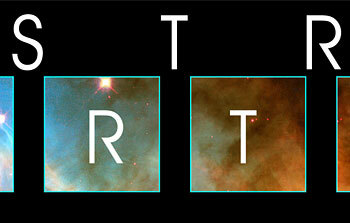 The gamma-ray burst has been located in one such actively star-forming region. This is a very important step forward in our understanding of gamma-ray bursts and their immediate surroundings and offers possible clues to their progenitors. 5 June 2000: New results by a group of European and American scientists make it clear that the NASA/ESA Hubble Space Telescope is nothing less than a true black hole finder. 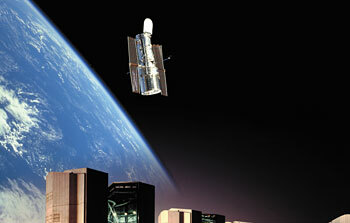 27 April 2000: For the Hubble Space Telescopes 10th anniversary on 27 April, ESA opens a new service. 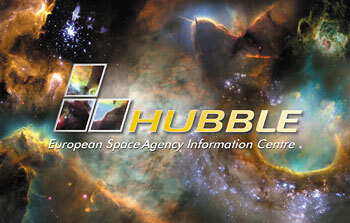 The Hubble European Space Agency Information Centre offers information about Hubble from a European perspective. Not only has Hubble's first 10 years produced a rich harvest of scientific results, it has also touched the man in the street with its beautiful images of the sky. With this initiative ESA shows its commitment to public outreach and to the communication of science. 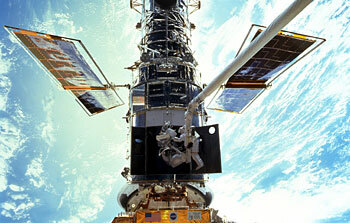 With an expected life time of 20 years, Hubble is now at the midpoint of its life. It has so far been one of the most successful scientific space missions, and the continuous maintenance and upgrade of the observatory through the Servicing Missions makes Hubble's next ten years appear even more promising. 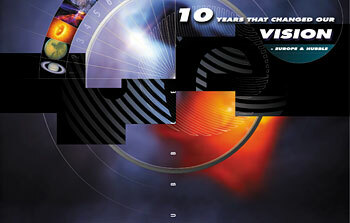 17 April 2000: To mark the Hubble Space Telescope's tenth anniversary, ESA is hosting a press conference at the Space Telescope-European Coordinating Facility (ST-ECF) in Munich on Thursday 27 April .With the astronauts who took part in the most recent Servicing Mission (SM3A) in attendance, ESA is taking the opportunity to give a - first - complete overview of Europe's major contribution to the HST mission. It will also review the first ten years of operations and the outstanding results that have 'changed our vision' of the cosmos. A new fully European outreach initiative - the 'Hubble European Space Agency Information Centre' - will be presented and officially launched it has been set up by ESA to provide information on Hubble from a European perspective.The new Hubble ESA Information Centre web pages go online here on 27 April. 12 April 2000: Astronomical data archives increasingly resemble virtual gold mines of information. A new project, known as ASTROVIRTEL aims to exploit these astronomical treasure troves by allowing scientists to use the archives as virtual telescopes. 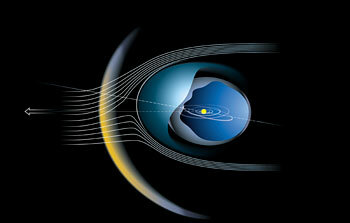 13 March 2000: Supersonic shock waves detected at the edge of the Solar System - a new study by European scientists clarifies conditions at our Earth's outermost shield against interstellar charged particles. 24 January 2000: The NASA/ESA Hubble Space Telescope is back in business, as made dramatically evident in stunning new celestial pictures of remote galaxies and a colourful dying star released today. 14 January 2000: After months of delays because of wiring defects, an engine swap and replacement of a crushed liquid hydrogen line, NASA launched Discovery into space on Hubble Servicing Mission 3A Monday 20 December at 01:50 CET. The main objectives for the mission were to replace Hubble's faulty gyroscopes, and other equipment, such as the computer, a Fine Guidance Sensor, a radio transmitter and a Solid State Recorder.